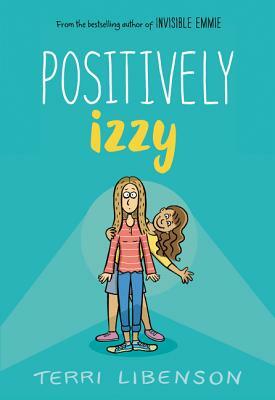 Award-winning comics creator and author of the bestselling Invisible Emmie Terri Libenson returns with a companion graphic novel that captures the drama, angst, and humor of middle-school life. Perfect for fans of Raina Telgemeier, Jennifer Holm, and Victoria Jamieson. Middle school is all about labels. Izzy is the dreamer. There’s nothing Izzy loves more than acting in skits and making up funny stories. The downside? She can never quite focus enough to get her schoolwork done. Bri is the brain. But she wants people to see there’s more to her than just a report card full of As. At the same time, she wishes her mom would accept her the way she is and stop bugging her to “break out of her shell” and join drama club. The girls’ lives converge in unexpected ways on the day of a school talent show, which turns out to be even more dramatic than either Bri or Izzy could have imagined. Terri Libenson is the bestselling author of Invisible Emmie and Positively Izzy. She is also the Reuben Award–winning cartoonist of the internationally syndicated comic strip The Pajama Diaries and was a writer of humorous cards for American Greetings. Terri lives with her husband and two daughters in Cleveland, Ohio. You can find her online at www.terrilibenson.com.